ITV: Which screen comes first? News International: 45 minutes to save newspapers! 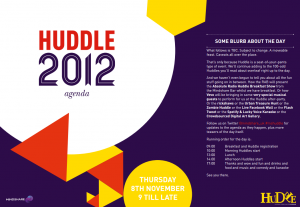 This is unfortunately an invitation-only event, but you can follow the action by viewing the #mshuddle hashtag, and of course there will be a Kred leaderboard on the day. You can now watch a replay of my presentation from the day below.